Sophie Chao is a postdoctoral research associate at the University of Sydney, whose work focuses on the impacts of agribusiness on the peoples and environments of the Asia-Pacific and Melanesia regions. 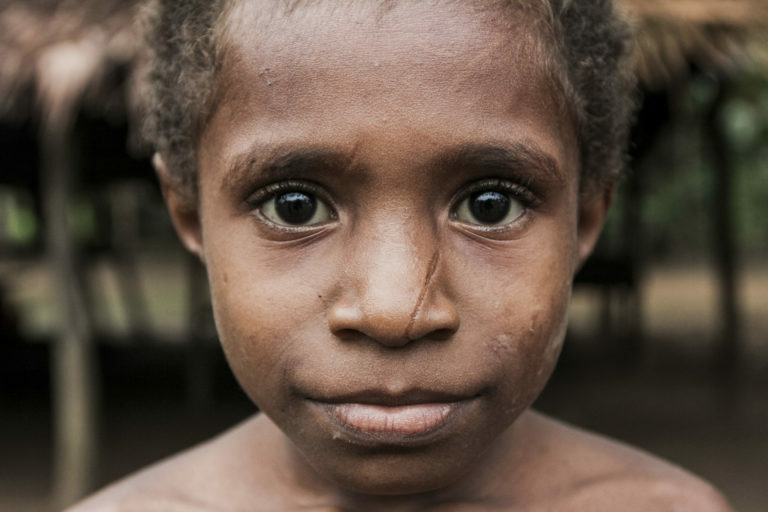 She spent a year, for her Ph.D., living with and studying the Marind-Anim people of Merauke, a district in the southern lowlands of Indonesia’s Papua province that has been heavily targeted for plantation development. Prior to this she worked for the Forest Peoples Programme, a U.K.-based nonprofit, pressing private companies and governments to respect international human rights principles in plantation developments. 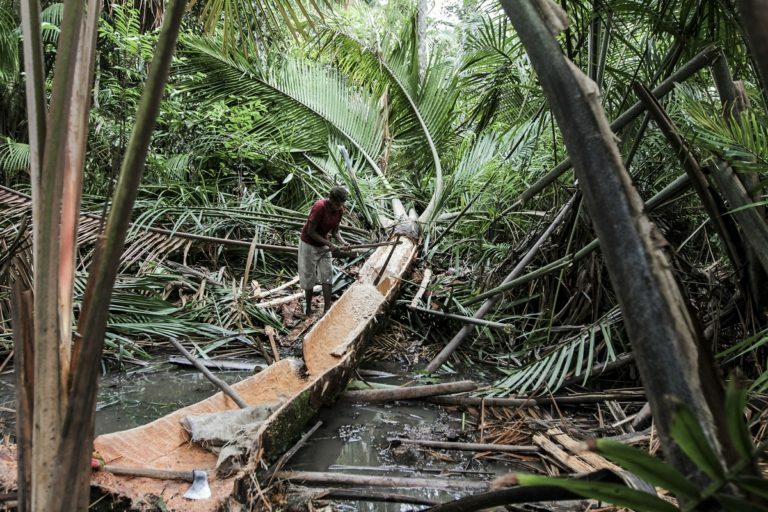 In November 2018, Mongabay and The Gecko Project, along with Indonesia’s Tempo magazine and Malaysiakini, published an investigation exposing the murky story behind a vast palm oil plantation project in Boven Digoel district, to the immediate north of Merauke. 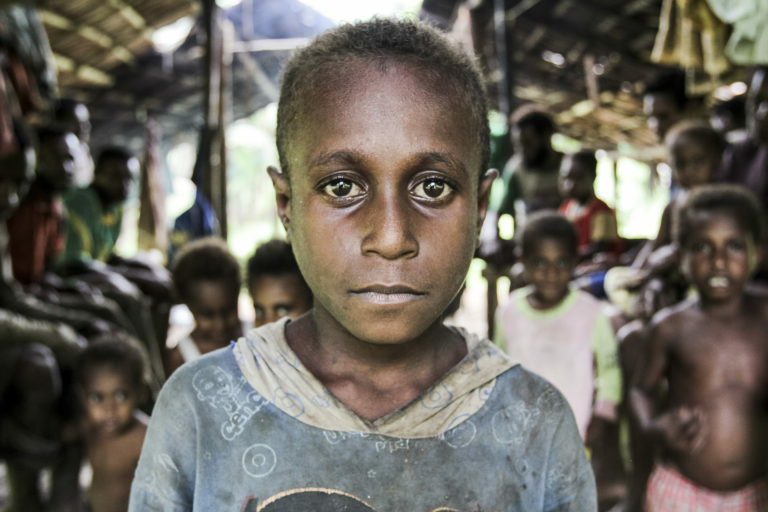 Papuans whose land has been annexed by this project are just beginning to feel the impacts as large-scale deforestation begins. 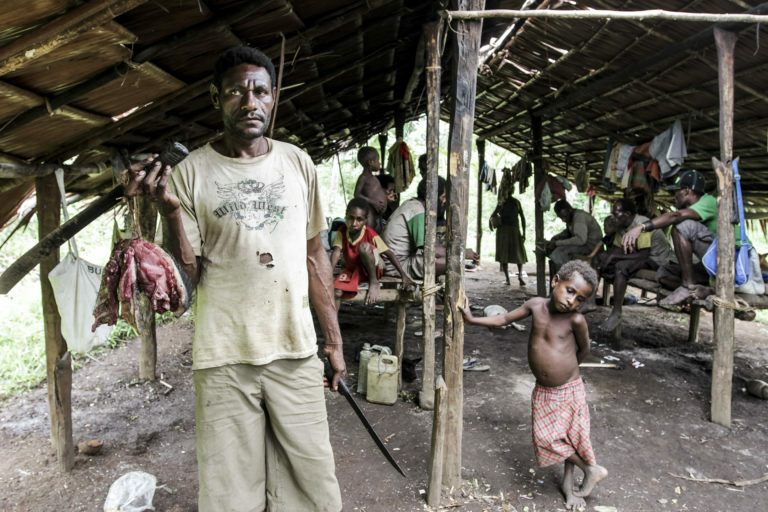 We spoke to Chao for a deeper insight into the complex tensions between the culture and worldview of people indigenous to southern Papua and the industrial agriculture that is being imposed upon them. How do these feelings — this sense of being connected to nature — influence their perception of plantation companies that are encroaching on and in many cases annexing their land? A lot of the communities I worked with have ceded their lands to oil palm corporations. Some have signed contracts surrendering other clans’ lands on their behalf without their consent. It’s very messy. Part of it is that this dependence on the forest is decreasing in the light of deforestation and monocrop expansion. Another indigenous idiom through which people understand the negative environmental impacts of oil palm expansion — water pollution, the haze, toxic mill effluence and so on — is as a form of retribution on the part of these plant and animal spirits for their failure, for the failure of Marind to protect them from oil palm, from these destructive, external forces. People use the idiom that it’s a landscape that has become desiccated. It’s been depleted of life-giving fluids, which encompass the water of the rivers, the wetness of the soil, blood — the sap — of animals and plants. People’s bodies become dried out, as do the rivers. Crocodiles and fish become “drunk” on the poison that comes from the mill — the pesticides and fertilizers. A lot of the time when I asked Marind what was the worst impact of oil palm expansion, they would say that oil palm kills the forest. Or oil palm kills the sago, in particular. This plant that is central to the cosmology of Marind, their staple food starch, and therefore the destruction of sago and the forest has implications for Marinds’ own livelihoods and subsistence. A hunter-gatherer family in Merauke. One of the things that’s made it really difficult for the Marind to refuse these land deals is that the companies are very aware of the importance of reciprocity and exchange among Marind. And it’s across the Pacific really, and Melanesia. The idea is that if someone gives you a gift you cannot refuse it and you must reciprocate. So companies will organise these pig sacrifice rituals, they will give 4x4s, they will organize feasts and so on, and that creates a sense of indebtedness and obligation on the part of the community, who then find it very difficult to not surrender land as an exchange, as a return to these companies. Again, this quite incisive understanding of the value of exchange in Melanesian society tells me that they know what they’re doing. There’s someone who understands these values, these norms, these mores on the corporate side. That definitely creates a problem. 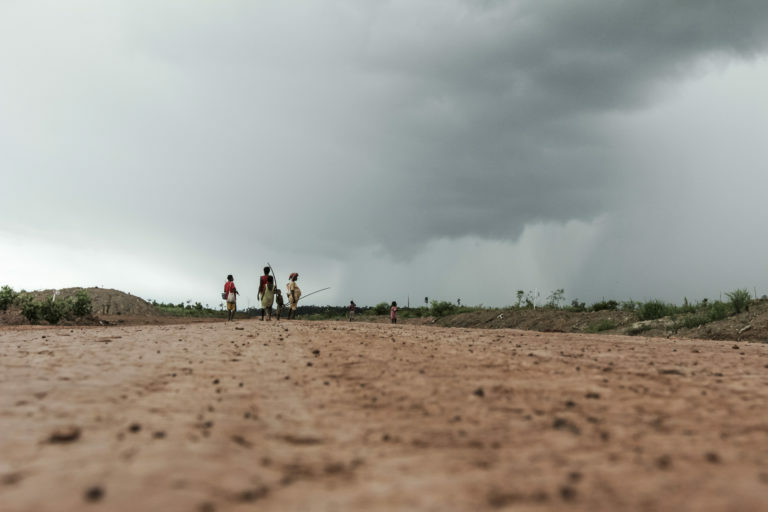 A road cuts through a landscape denuded of forest in Merauke. My interlocutors were hugely confused over this concept of tali asih. In part because it seemed to be used interchangeably with ganti rugi [a fee for destroying their existing crops], compensation, uang ketuk pintu [“door-knocking money”], a payment, sewa hargaan [rent], kontrak sewa [lease] … I mean the list just goes on and on. And it remains unclear what exactly the difference is. Is this a show of goodwill? An opening-the-door gift? Is it a gift? Is there an expectation of return? The uang ketuk pintu — I mean it literally means the money you bring when you knock on the door. So it suggests an invitation into a social relationship. But for the most part, people were put in a position of feeling that they needed to reciprocate. The only way they knew, the only thing the companies seemed interested in, was the land. So there’s huge lack of clarity over what these terms mean. I’m writing something at the moment about “failed rituals.” Anthropologists love writing about rituals in non-Western societies, particularly indigenous ones. Fewer anthropologists, however, have written about rituals that fail, or rituals that are problematic precisely because they do work. And how corporations are co-opting adat [custom] through these pig sacrifices and so on. And people find themselves forced to participate in their own practices, that are being adapted by these external actors or “corporate shamans,” if you wish. And the problem is, even though these corporate actors are not Marind, they’re not ritual experts, they’re not related to Marind, they’re still able to carry out these rituals. And the problem is these rituals work. People get cured. People heal. So it’s hugely problematic. “They’re using our norms, our values, they’re not Marind, and it’s working … so are they shamans? Do they have these forces or powers that we thought were our prerogative? And if so how do we deal with that?” It’s fascinating the way reinvention of tradition can happen, and can be manipulated and exploited to serve very different uses. And effectively forcing people to participate in these subverted reinventions of tradition. A woman harvests sago in Merauke. It was a bit like a hand grenade in Boven Digoel. That seemed to be the point at which things blew up with the clans. There was a lot of suspicion over who got what, and what it was for. They’re very clear that before that point they were fairly peaceful, and after that point they were literally in some cases having fist fights. Could you talk a little bit about the impact on the social fabric? There’s a huge intergenerational problem in many of the villages I was working in. That level of societal relationship is breaking down. It works in both directions. Some of the elders who are adamant that the forest should be preserved versus the younger generation who are looking to progress, to change to modernity, material wealth, access to the cities. Access to the modern world. There’s that intergenerational tension. Then you also have it in the other direction, where there are young, educated Marind — schoolteachers, nurses, for instance — who are deeply critical of the elders who are also surrendering their land without understanding the terms of the contracts, the legal implications. Who are still operating in this reciprocity framework. [Young people would say,] “That works just fine among Marind, but you’re not dealing with Marind here. You need to change, our culture needs to change and adapt because we’re dealing with a very different kind of audience, who does not reciprocate in the same way, who does not understand reciprocity in the same way.” So some of these young people are pushing for kind of a transformation in Marind culture as a way of surviving these new kinds of forces and actors that are impinging upon everyday life. It would depend on the season. It would depend on which clan is doing the mapping. It would be a 3D map. It would be a map that has a sound accompaniment to it. It would have to be a map that is open to revision. Which kind of goes against the whole idea of the GPS, aerial, putatively objective, top-down point of view of relatively static objects and places. But it would have to be a map that’s open to revision. When peoples’ relationships to other clans change, they want the GPS points to be moved. Either drawn closer, or further away. When fortunate or auspicious events happen in the forest involving particular animals that belong to another clan, again the boundaries have to change. So these cartographic technologies would have to incorporate the fluidity to accommodate a multi-sensory way of perceiving the world, which would entail sound. A map that would be able to represent movement. I don’t know if overlays of different maps would help. One of the biggest issues we had was people follow the movement of animals, because the movement of animals helps them trace or identify their own boundaries. Because a lot of them follow the migration patterns or feeding, mating movements of animals, and these are inscribed in myth as well. So different maps that represent different species’ movements across the landscape. So it would have to be maps that are open to change, and that incorporate sound. 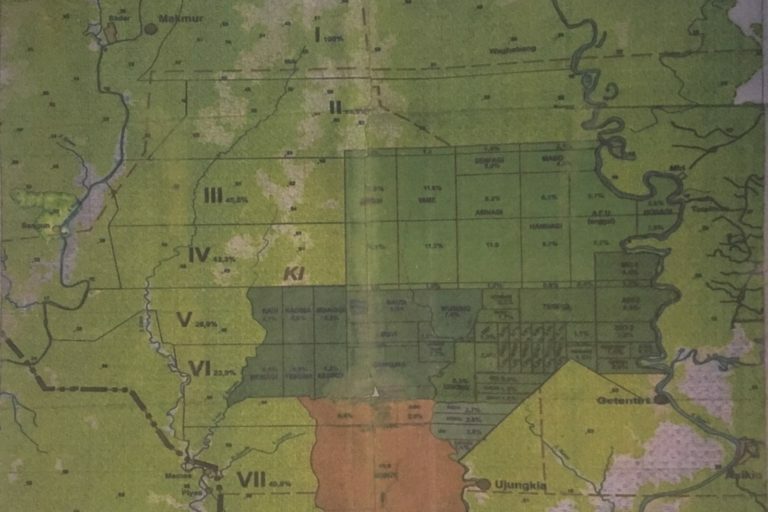 A map of indigenous territories within the vast Tanah Merah palm oil project in southern Papua, reflects a crude and inaccurate understanding of land use. Absolutely. I remember asking one of my informants, what are maps about for you? What is a map? And he said, “Songs and stories.” I went out there with an activist mind-set, let’s make a map of the territory, this is going to be really important evidence. [And instead] I went around basically mapping bird sounds. And hearing these incredibly wonderful, protracted stories about these animals, where they come from, what relations pertained to them. So songs — human and bird. Stories — human and bird. Which then in turn led to all kinds of other narratives — events, myths and so on. It’s a very moving process. Both in the sense that it’s about mapping movement, and it’s very moving for the people who do it. Because it’s as much about what’s being mapped as the person doing the mapping. The individual who is doing this cartography is invested in the process. He or she will produce a map that is inherently shaped by his or her relations to what is being mapped. So, for them, they embrace the subjectivity of mapping. This idea of top-down perspective makes very little sense. 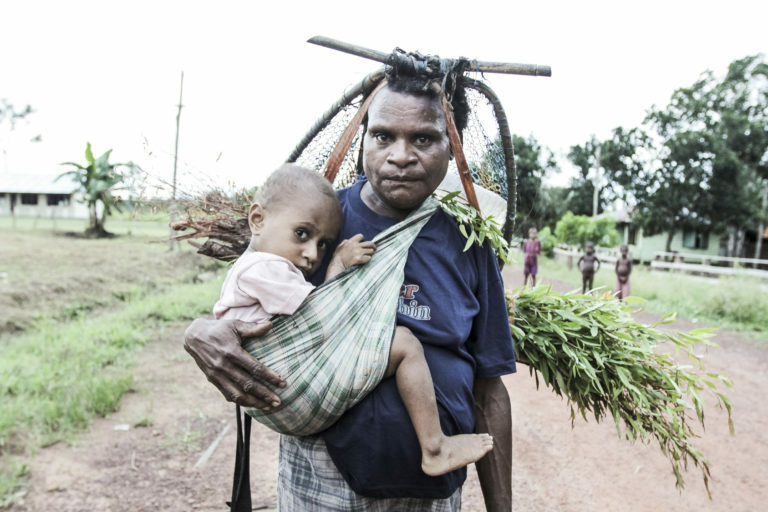 A woman and her child in Merauke. It’s the relief of the forest, the particular natural markers — the trees, the sago groves — that actually act as markers of land boundaries between clan territories. So if the forest is gone it means there’s actually no more reference points to identify whose land belongs to whom in these razed landscapes. It’s complex enough now trying to identify which land belongs to who. When those physical markers are gone, how they are going to patch it together again and re-divide these completely demolished landscapes is going to be a serious challenge. One of the things that could happen is the people stay in the village, but become completely dependent on government and company handouts. Many of the villages where I was working, you get compensation packages. Many of the people could no longer hunt or forage. Instead they were eating instant noodles and raskin [subsidized rice], provided by the government and as “CSR” [corporate social responsibility] from the companies. Indigenous food ways are being radically transformed. That has repercussions for health. Infant malnutrition is on the rise. These foods are not nutritional in any shape or form. So I anticipate that there will certainly be health impacts for people who are no longer accessing the proteins from the forest and who are now eating these processed goods of very little nutritional value. But it could be that they end up becoming completely materially and financially dependent on the corporation, for food and money handouts. The villages I worked with were very critical of other villages who they deemed to have already reached that level of malas — laziness. Just waiting for your funds to arrive, just waiting for the company money. It’s another source of fragmentation, this internal criticism. People who are no longer struggling, who will eat from the company rather than hunt for themselves. And some people are. Some young Marind prefer to eat rice and noodles, they’re not really interested in hunting anymore. They’d rather be in the city, and they’d rather “progress,” or modernize as they put it — maju. I suspect these changes will be inflected along generational lines. That’s as much as I can envision at this point. Either total dependency or migration towards the cities. At the grassroots level, I think community capacity-building is key. This would involve increasing communities’ access to national and international remedy mechanisms, and their knowledge of their rights under national and international law, particularly to their lands and livelihoods. But these grassroots initiatives would also need to be accompanied by legal reform that would harmonize national laws with the requirements of international law. There’s a gap between these two systems at the moment. Sustainability standards like the RSPO [Roundtable on Sustainable Palm Oil] are making important steps to push for a rights-based approach to oil palm production. But again, these standards can only be truly effective if there is legal reform. Otherwise, even companies that are trying to implement a comprehensive FPIC [free, prior and informed consent] process may find themselves stuck between the requirements of the RSPO and the requirements of national laws. Of course, legal reform takes time — it won’t resolve the problems faced by Marind today. But on the long term, it may make a difference to future generations of Marind and increase their capacity to defend their rights to lands and livelihoods more effectively. All images for this article were provided by photographer and filmmaker Nanang Sujana. You can watch Nanang’s 2012 film on land grabbing and indigenous rights in Merauke, “Mama Malind su Hilang (Our Land is Gone),” here. 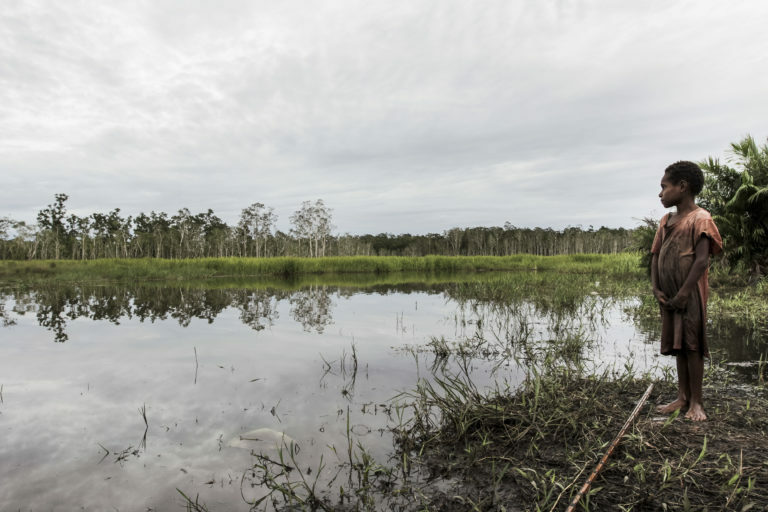 Read our investigation into the Tanah Merah palm oil project in neighboring Boven Digoel district, “The secret deal to destroy paradise,” here. You can also read a summary of the story.